Just like his predecessors Hank Williams and Johnny Cash, George Jones is getting a major biopic movie made about his life. Entitled No Show Jones and authorized by the George Jones estate, the big budget biopic will cover his rise to fame in the 1950’s, his struggles with alcohol and drugs throughout the 70’s, his tumultuous seven-year marriage to Tammy Wynette, and his final marriage to Nancy Jones who is given credit for saving his life. The biopic is being financed and produced by 28 Entertainment out of Los Angeles, and is being written by Alan Wenkus, known most recently for being the writer and researcher for the upcoming music biopic Straight Outta Compton about the rise of the N.W.A. gangsta rap group to be released in August. Wenkus, along with Brian A. Hoffman of 28 Entertainment and writer Dennis Baxter will all executive produce the film. The producers are said to have spent time with George Jones during his final years. There is no word on a director of the film, or who may play George Jones or any of the other major characters at the moment. There’s also no word on a potential time or year when the film is hoped to be released, though the producers say they are working to attach talent to the project soon, and are introducing the project at the Cannes film market. 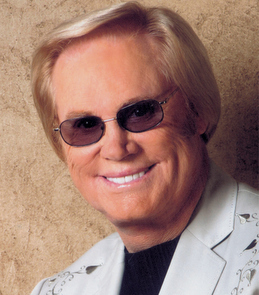 George Jones is considered one of the greatest country music artists of all time. He was inducted into the Country Music Hall of Fame in 1992, was a Kennedy Center Honoree in 2008, and received a Grammy for Lifetime Achievement in 2012. Beyond the accolades, Jones lived a tumultuous life full of battles with alcohol and drugs that will sure make an interesting story for the silver screen. He was born in Saratoga, TX in 1931, and died in 2013 at the age of 81. Recently a museum was opened in downtown Nashville commemorating the country artist. A Hank Williams biopic called I Saw The Light starring Tom Hiddleston is expected to be released later this year. This could be interesting. I still would like to see a Waylon movie. I love me some Jones. They should call the movie “20 years in 5.” I love that song and the album “I am what I am.” Maybe, the greatest George album. AGREED where is the Waylon Movie at Trig? He has one of the most interesting careers and Life. And NOW is the time with the attention shifting bit. The Waylon Jennings biopic has been mentioned by the Waylon estate members (Shooter and Jessi) on numerous occasions over the past few years, but nothing definitive has been agreed to that I know of, or made public at this point. I think I remember there being talk of it as far back as 2012. Hopefully we hear something soon. So, you know who will be playing that part–right? So true and well said! The Waylon biopic is long overdue. You’re so right, there has been a huge shift lately and Waylon is finally getting the recognition he deserves. It took this long for Nashville to let their grudge with him go ( they don’t like to lose). His bio was incredible and with a good screenwriter would be a great film. But who the hell would play Waylon? Am I the only one who would really like to see Jim Carrey take the lead role? And has more than proven himself as a capable dramatic actor in films like The Majestic, Man On The Moon, Eternal Sunshine of The Spotless Mind, and The Truman Show. Looking at those pictures, you make a good point ….. though I don’t actually find Carrey a very comfortable actor to watch. To me he always looks like he’s acting (if that makes sense). Yeah, trying to erase Ace Ventura from your mind might be difficult when you’re watching him sing “He Stopped Loving Her Today.” But no doubt he’s got the look at the acting chops. That’s funny, I never thought of a resemblance there. But now that I’ve seen it, I can’t unsee it. He’s a Canadian so he could never play the role of a great Texan like George Jones. The resemblance is uncanny… but can Carrey sing? I can’t think of any roles where he did. In “The Mask”, he sang a song called Cuban Pete. It was a very silly song, but listening to it, you could tell he had a voice. That being said, I don’t know if he could pull off The Possum’s voice without it sounding like a parody. Just looked that up on youtube – seems like he might have a voice, though it is hard to tell from the schtick, but agree I don’t think it is strong enough to carry off playing Jones. Great news. Not in love with the title. Yes, we seem to embrace George Jones’ shortfalls and try to make them endearing more than any other artist. It is kind of interesting how we just quietly look past things that we know happened involving the greats of the past yet we viciously attack (and often rightly so) the sins of the current crop of performers which are many times no where near as serious. Like Aldean and his marital issues which are certainly disrespectful to his wife but are nowhere near the things that George Jones wife mentioned just a couple of weeks ago about being slapped and hit. I’m not really sure what this says about our culture but it’s one of the main reasons why I don’t give a flip about the private lives of celebrities. We really don’t know these people at all. On a side note, anyone else think Still Doing Time would make for a better title? Any idea on when the Hank biopic will be released, if it hasn’t been already? The word is it will be released in Oscar season, meaning probably in November or December. Trust me, when it’s released, you will know about it. They’re swinging for the fences with that one. We could see two biopics, “I Saw The Light” and “Straight Outta Compton” battling it out for Best Picture—if they both deliver that is. If it is properly scripted and produced, it could be very authentic. I hope that it shows the desperation which resulted from his many unsuccessful battles with the bottle and doesn’t glorify his well-noted trip to the whiskey store (or bar) on his riding lawnmower. This has the potential to be a very deep movie. If it fails to capture the depth of George, his relationships and his music, it may wind up being a big-screen version of “Nashville”, which is my wife’s favorite show. I just hope there is a scene reminiscent of the song “The King Is Gone”. If done correctly, this should be the best movie of any music artist. Jones lived a more tumultuous lifestyle than any other artist in country music. No one lived harder or sang better than Jones. First, I would hope that the market won’t be oversaturated with Country biopics between Cash, Hank and Jones. Second, It’s going to be hard to find an actor who could come anywhere close to George’s vocal talent. The guy was one of the greatest singers ever, and trying to replicate what he could do is damn near impossible. Hopefully it’ll be closer to ‘Coal Miner’s Daughter’ than ‘Walk the Line’. I think that with movies now it always seems obvious which ones are ‘Oscar bait’. These are traditionally the true stories or big boring dramatic ones. One of the best movies I’ve seen in a long time was ‘The Judge’ with Robert Downey Jr. and Robert Duvall. I read the reviews the next day and was shocked to see that most critics gave negative reviews while something like ’12 Years a Slave’ the year before was universally praised and won three Oscars. I saw ’12 Years’ and frankly I was not impressed. It just seemed like fake Steve McQueen (There’s only one Steve McQueen and it’s certainly not him) wanted to make the world feel guilty for something that happened over a hundred years ago and forgot that movies are supposed to entertain us. I think that people need to stop making ‘artistic’ movies and start making movies that are actually worth watching again. That’s the main difference between something like ‘Coal Miner’s Daughter’ and ‘Walk the Line’. ‘Coal Miner’s Daughter’ told the story of Loretta Lynn and managed to be a damn good movie at the same time. ‘Walk the Line’ tried, but it just didn’t do it for me. It was just one of those movies made for award season, not to entertain but to win trophies. Also, it didn’t help that I had no idea who half the actors were trying to portray. I didn’t even know Roy Orbison was in it until I read the credits at the end, then I had to look it up to see where it was. Anyway, I’ve gotten a little off topic but I hope this movie does it right and actually creates a half decent movie. Hold on just a minute. You’re saying that people need to stop making “artistic” movies when filmmaking is an artistic medium, just like music is. Meanwhile, you’re on a website that denounces music made for the sole purpose of burying music made for artistic purposes in place of shallow entertainment. Lol, okay. We’ll see if this movie gets made..
I’d love to see a good film about any of the female legends of country music, especially Tammy Wynette. I know there’s been one movie done (wasn’t it a made-for-teevee thing? I saw it but didn’t think much of it). I think her story is fascinating, but I can’t think of a person in this world who could do the singing for her part-hers was one of the most unique voices in any genre of music, ever. The catch in her voice, the accent which accentuated the authenticity of being a woman of rural roots, the fact that she wasn’t a starry-eyed young kid when she hit Nashville, and the fact that George Jones was truly one of her musical heroes long before she ever dreamed she’d ever meet him, much less sing with and marry him-and the interesting fact that that her musical heroes, and the ones whose stylings affected her own sound, were men-Hank Williams and George Jones-there are so many interesting facets to her story other than the soap opera it’s sometimes made to appear. (It endeared her more to me that one of her famous home-cooked meals-dumplins and ham-were her own take on chicken and dumplins, because according to her, growing up on a small farm, they ate chicken until it was coming out of her ears so she substituted ham for the chicken in the classic southern recipe). The fact that while she trudged from producer to producer, she had to as often as not bring her three children from her first marriage along with her, because she knew no one in Nashville. The fact that this shy country woman believed in her dream enough to hit Nashville in the first place without one connection, just faith in her singing, and kept her beautician’s license current until the year she died “just in case”-this, after she was not only a mega-star but a legend in her own lifetime. I can’t find enough words to express my respect for and love of this woman who had a sound like no one else before or since. And the fact that if it wasn’t for Billy Sherill, her last hope, the world might never had heard her amazing voice. I don’t care that some people quibble with her “lack of presentation” when all she had to do was stand there and open her mouth to sing, and out came that amazing, one-of-a-kind voice. Her voice conveyed eveything that needed to be conveyed, I didn’t need to see her “emote”. That’s why the singers of her time made such great radio stars-the voice (and the great, perfect instrumentation) was enough, and said it all. The fact that she was a gorgeous woman when we did see her was just icing on the cake, not the essential ingredient of her talent. Now THAT would make a movie! if done right.